A report from Gigaom, siting "multiple sources familiar with the matter," claims that Google is set to announce Android TV at its Google I/O developer conference in late June. We first got a glimpse at what Android TV might look like back in April when The Verge spilled the beans on Google's plans. At the time, we were completely unimpressed. Of all the pain points around streaming media over the Internet onto your TV, "not enough closed ecosystems of streaming set-top boxes to choose from" is not one of them. A nice user interface is welcome, but what the world really needs is a streaming box that more easily lets us actually watch what we want, when we want. One that brings together all the shows from all the networks, and all the movie services, and live sports (including local teams), so we can finally ditch those cable companies we hate. Android TV didn't appear to be that solution. Instead, it was just Google's version of a Roku or Apple TV or Fire TV. Gigaom's report does little to ease our fears. It provides three new pieces of key information. 1. Google is putting a lot of weight behind an interface code-named Pano, which puts content first, but app developers aren't too happy about their content being surfaced outside their app. Maybe there will be some sort of compromise. 2. Gaming is going to be a big focus. 3. Android TV is a platform, not a piece of hardware. It's meant for vendors to build their own devices that run it, to be built into TVs and set-top boxes. Those last two points are worrisome, taken together. If you're a mobile game developer, you already have a new target to develop for in Android TV: one where the screen is horizontal 16:9, 10 feet away, and the game is manipulated with some sort of game controller instead of a touchscreen. 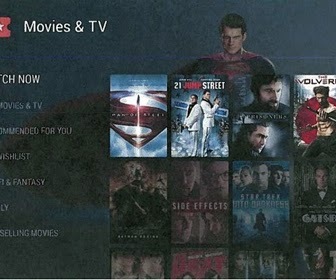 If Android TV is available on a wide variety of devices, you then have you worry about a bunch of other things, too. How much RAM does your game require? How much processing power and graphics power? For game developers, the attraction to consoles (or even streaming boxes like Amazon's Fire TV) is that you know what hardware is in there, and can tailor your game to fit. If Android TV is a platform, game developers will be forced to support the least-powerful hardware in the ecosystem or else alienate some of the players. The last thing the "play games on your TV" market needs is Android-style fragmentation problems. And what does Google know about gaming, really? Do we trust that they can develop a good game controller, when neither Ouya nor Amazon was up to the task? If Gigaom's report is accurate, we'll find out everything we need to know in less than a month. Google I/O begins on June 25.